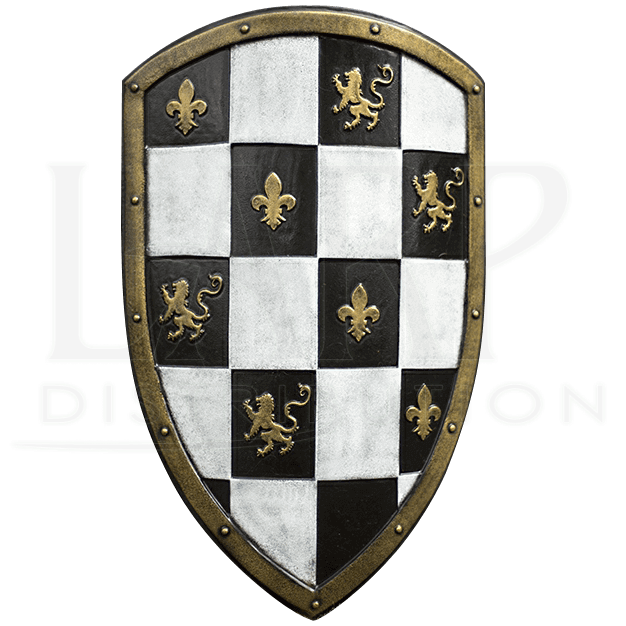 Guard yourself from the blows of your enemy with the White Checkered LARP shield on your arm. This beautifully handcrafted kite shape LARP shield features a checkered design decorated with golden fleur-de-lis and rampant lion details. Semi-curved for a better range of protection, this historic-inspired shield is finished with laser cut heraldry patterns, making it a great fit for medieval themed LARP characters. The three versatile leather arm straps attached to the back allow this shield to be wielded both right- and left-handed. 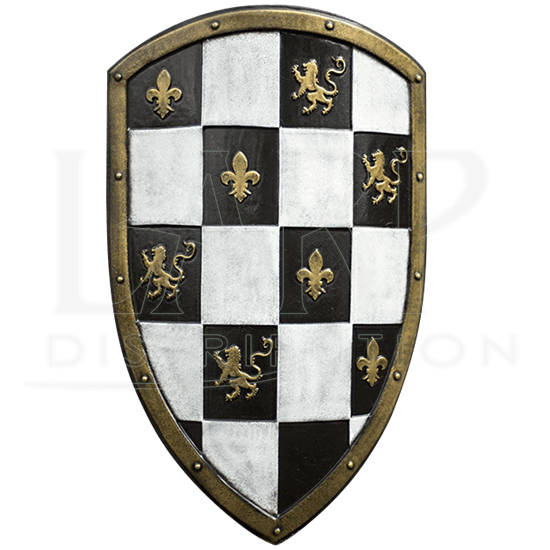 It is made from hard EVA foam, coated with latex, and hand painted to resemble a real lacquered medieval shield. As such, there may be slight natural deviations in its appearance.